An ambitious project that pools together knowledge from top archeologists working in the Orontes Watershed, a geographical region rich in ancient history, is expanding thanks to a $2.5-million grant from the Canadian government. Shelley Craig, an associate professor at the Factor-Inwentash Faculty of Social Work, is also receiving $2.5 million in funding for her collaborative study on how information and communication technologies can be used to negotiate gender and sexual minority youth identity and well-being. 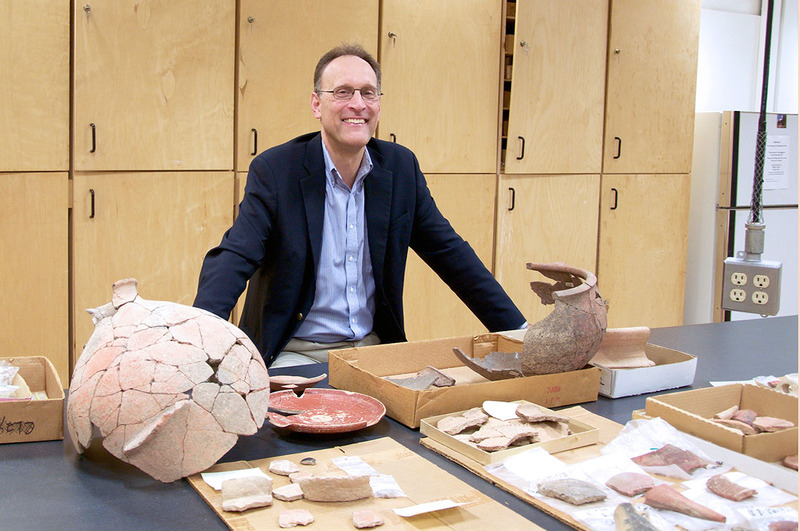 CRANE, which started in 2012 thanks to a previous SSHRC grant, is studying more than 13,000 years of civilizations that dotted the banks of the Orontes, an ancient riverine superhighway flowing from modern-day Lebanon north to Turkey. The Egyptians under Ramses II battled the Hittites along these banks; the Romans built bridges over the river and dammed a section to form an artificial lake in Syria. At various points in the past, the Assyrians, Greeks, Macedonians and the Crusaders all converged here, too. The area represents a “microcosm of the larger Middle East in terms of its geography, its social complexity and its political history,” explained Harrison via Skype from Antioch, an ancient Greek city on the river in southern Turkey. The sheer weight of history and the scattered documentation by hundreds of researchers in dozens of countries over decades of work is just one of the massive complications for CRANE. The current political climate in the Near East region is another – it’s actually illegal for researchers from certain countries to work together. Archaeologists also tend to be competitive and “quite proprietary of their data,” he said. In the years since it started, CRANE has made significant progress and, in version 2.0, it’s geographically expanding to the whole Eastern Mediterranean. “Colleagues think we’re absolutely crazy or delusional,” said Harrison, who has conducted excavations for two decades in the Orontes Watershed. It’s all about building trust and extolling the benefits of collaboration, he said, admitting he still gets choked up when he’s asked to explain the project, which was first proposed by colleagues back in the 1990s. Now, CRANE is at the forefront of creating cutting-edge tools all partners can use such as a common database that contains detailed archeological inventories and artifact registries from thousands and thousands of sites. They’ve partnered with computer scientists on machine learning algorithms that can shape-match artifacts, as well with big data experts at the Argonne National Laboratory to develop large-scale computer models and simulations of ancient social groups. The supercomputers can reconstruct the earliest origins of the region and make modern-day predictions. Partners involved include U of T, the University of British Columbia, Carleton University, the University of Chicago, Cornell University, Durham University and the University of Bologna, collaborators in Europe and in the Near East, as well as industry partnerships with IBM Canada in CRANE 1.0 and Autodesk in 2.0. Already, teamwork has paid off for organizations like UNESCO, which is working to document the destruction wrought on the region’s cultural heritage during Syria’s devastating civil war. When approached, all CRANE needed to do was hit send on the data and they had it almost immediately. “That’s an unanticipated outcome from CRANE 1.0,” Harrison said. “There’s been an explosion in groups and researchers in Europe and North America that want to participate. One of those questions is the impact of climate change on very localized environments over time. U of T physicist Richard Peltier, a globally renowned climate change expert, is conducting research around “downscaling” of large computational models to make predictions at the local level, perhaps down to the kilometre. Harrison is passionate about the importance of social sciences and humanities in dealing with the big global problems we now face. “When physicists and microbiologists are coming to us and asking us to set up partnerships and collaborations with them, they’re realizing that we have something important to contribute to these larger questions,” he said. “I think that we’re sometimes our own worst enemy. We’ve allowed ourselves to be marginalized because we’ve gotten into such esoteric and highly specialized fields – everyone is trying to protect their own data. By not collaborating, we’ve marginalized ourselves.